MDF File corruption is one of the worst scenario any user faces as all the data of SQL database is stored in MDF File. It stores all the database components like functions, tables, triggers functions etc. But what if it get corrupted? The data present in the MDF file has high chances of getting lost if not repaired properly. If your MDF File is corrupted and you are unable to access it then get to know how can you view corrupt MDF file. Before proceeding to the solution, you must be thinking the reason of this disaster. Let us understand what could be the possible reasons of getting SQL MDF File corrupted. How SQL MDF File got Corrupted? SQL MDF file is highly prone to database corruption. So one must take regular backup check of this file. Coming to the reasons, there could be number of reasons behind MDF File Corruption. One of the major reason of getting SQL database corruption is IO Subsystem. It is estimated that 99% of corruption in mdf file is caused due to this I/O Subsystem. Beaware from these causes! Prevent your MDF file from getting corrupted by taking regular recent backup!! How to View Corrupt MDF File ? We have discussed various possible reasons why MDF File got corrupted. Now let us discuss how can you view your corrupted SQL MDF File. I have created SAMPLE2 database and made it corrupted. As you can see in the image, when I tried to retrieve the records through the SAMPLE2 database it give me Corruption error 5172. You will two different options for scanning, Quick Scan or Advance Scan. Click on Advance Scan option for scanning as it will repair severe corrupted file. You will get a scanned report of all database objects containing SAMPLE2.mdf file. You will see the number of records, database objects contains. The software will show you a brief preview of all recovered database objects. You can see all database objects like tables, functions, views etc SAMPLE2.mdf contains. Just click on the object on the right side and you will get brief preview. 1. I am using SQL Server version 2014. I don’t have log file of my database. Am I be able to view corrupt mdf file of my database ? Sol: Yes, MDF File repair tool allow you to preview .mdf file data even if you don’t have log file. Just load the file to the software and you will be able to preview all data. 2. I ran DBCC CHECKDB command with REPAIR_ALLOW_DATA_LOSS option to repair my MDF File so that I can view all the details of it. But when I execute Repair statement, it got failed in repairing my .mdf file. Can I be able to view my MDF file data? Sol: Yes , You can repair your .mdf file by simply loading it to the software. The software scans and recover MDF File data of SQL version 2017 , 2016 & all below versions. 3. I am using SQL version 2017 and I am getting Error Msg 823 error. Is it possible to recover and view corrupt MDF File while having SQL error 823 with this software? 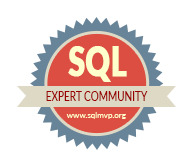 Sol: Yes, the software repair your MDF File if you are having Msg 823, 824, 825 in SQL Server. Not only this, the tool repair MDF File from all type of corruption like page level corruption, meta data corruption etc. All those users who are looking for a way to view corrupt MDF File in SQL Server are welcomed here to find out the solution. Possible reasons of MDF getting corrupted has also been discussed. Some user queries has also been discussed for the same.